Skye Gravestones | Donald & Annie (Nicolson) Grant, s. John. 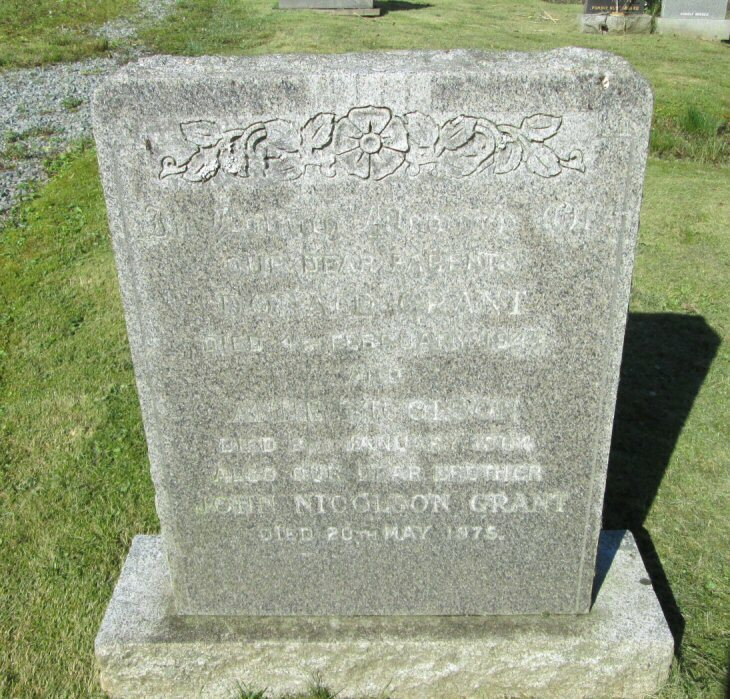 Donald & Annie (Nicolson) Grant, s. John. In loving memory of/our dear parents/DONALD GRANT/died 4th February 1948/and ANNIE NICOLSON/died 2nd January 1964/also our dear brother/JOHN NICOLSON GRANT/died 20th May 1975.